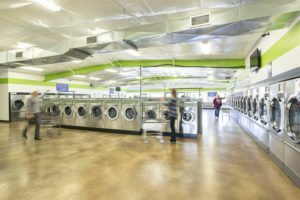 Our Laundromat opened on January 17, 2017. Shelbyville is a great town and deserves to have a great laundromat. We strive to keep our store clean and safe. We clean it every day. We will likely be the most advanced Laundromat you’ve ever visited. Our washers can draw instant hot water thanks to an installed recirculation system. 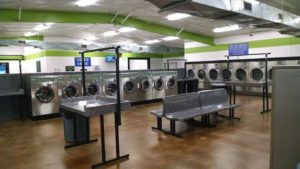 The Laundromat is closely monitored inside-and-out with 16 security cameras and a large memory DVR with remote viewing. Call (931) 492-4444 for questions or concerns if we are not available in person. We are happy to serve and help you. Note: Calls at night are routed to voicemail. Please leave a message and we will return it ASAP. The best part is how you choose to pay. 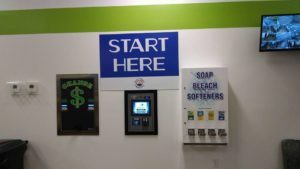 Use the FasCard, which is the most exciting Laundromat addition! The FasCard lets you take advantage of our reward program. When you put $30 on the card, you immediately get $3 back*. Plus, you earn points just for using your card– at 300 points, you automatically get another $3! There will be many more specials and discounts for FasCard holders. Just don’t forget to Register your FasCard (click here for instructions)! The main reason to register is so you won’t lose your store credit if you lose your card. So if you need to wash some clothes or blankets and you are anywhere in the Shelbyville, TN area, come check us out! We aim to impress. *You must purchase at least $30 of credit per visit to the kiosk to earn your instant $3 in credit. Smaller purchases are not cumulative toward the reward. However, you will still earn points toward rewards for just using the card– ten points per dollar spent, in fact. At 300 points, you automatically earn another $3!